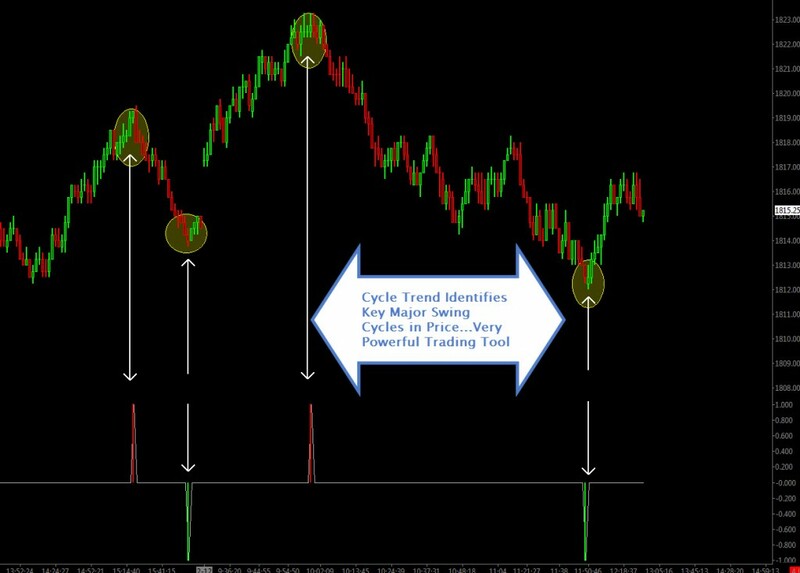 The Cycle Trend is a multi-layered algorithm that is designed to uncover key price swing cycles. It combines both price and time components to its calculations and displays only the Major Cycles. Very simple and clean display when combined with other indicators offers the trader an outstanding high probability turning point from which to engage the market with low relative risk profile.